The know-how developed in manifold block manufacturing enabled us to integrate mechanical machining with dedicated services such as designing, surface treatments, components assembling and system testing. Care and commitment we put in our job allow us to enjoy of the certification UNI EN ISO 9001 that testifies the top quality standards of our manifold blocks and that identifies us for the diligence we put as a task of constant improvement. Our experience is a quality assurance and the know-how we have developed in the field of block manufacturing enabled us to support mechanical machining with specialized services such as designing, phosphate treatment, components assembling and block testing. C.P.M. 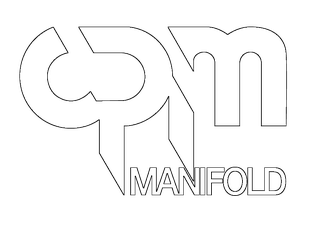 Manifold has been one of the very first companies to supply perfectly deburred and clean manifold blocks since 1970. Compatibly with block dimension, manual deburring is completed with a process of thermal deburring (TEM). CPM Manifold produce certified hydraulic manifold blocks: CETOP, CETOP 03, CETOP 05, CETOP 07 and CETOP 08. CPM also manufacture custom hydraulic manifold blocks and provide customers around the world with finishing, deburring, phosphating, assembling and testing services. C.P.M. Manifold produce e fornisce blocchi oleodinamci standard serie CETOP, serie CETOP 03, serie CETOP 05, serie CETOP 07, serie CETOP 08 e blocchi oleodinamici progettati su misura; servizi di finitura e sbavatura, trattamento di fosfatazione, assemblaggio componenti e collaudo dei blocchi oleodinamici.